I love Mandalas, I think they are just stunning. I was recently gifted a mandala coloring book and thought my grade 5’s could easily do some mandalas. We looked at traditional mandala images, learned about radial design and talked about pattern and shape. We thought about easy ways we could get everything to look the same. 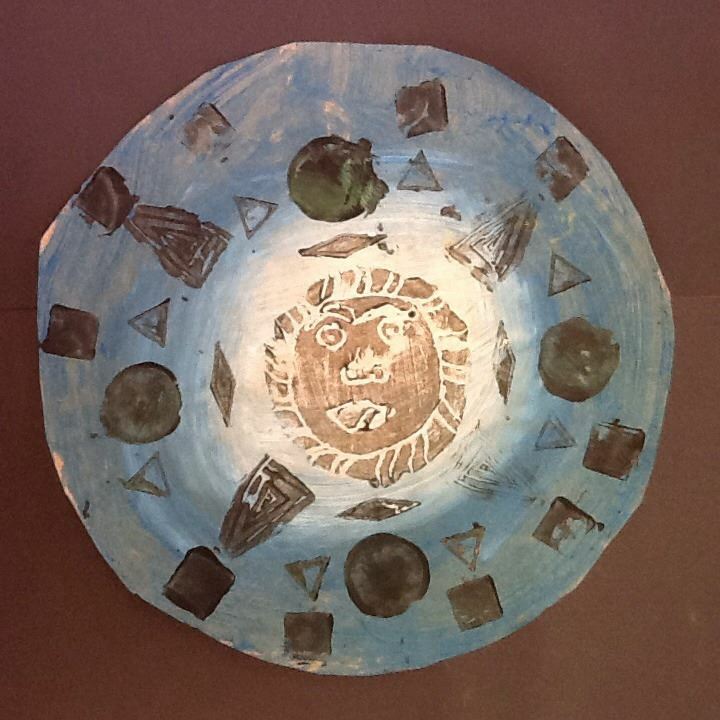 I had them trace a plate for their circle. They then folded the paper so that they had “lines” for each section. 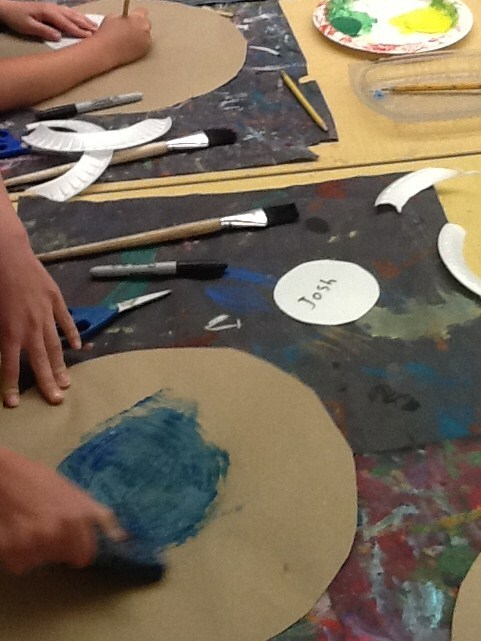 I had items they could trace like blocks, cut paper, cups, plastic lids, and various found objects. 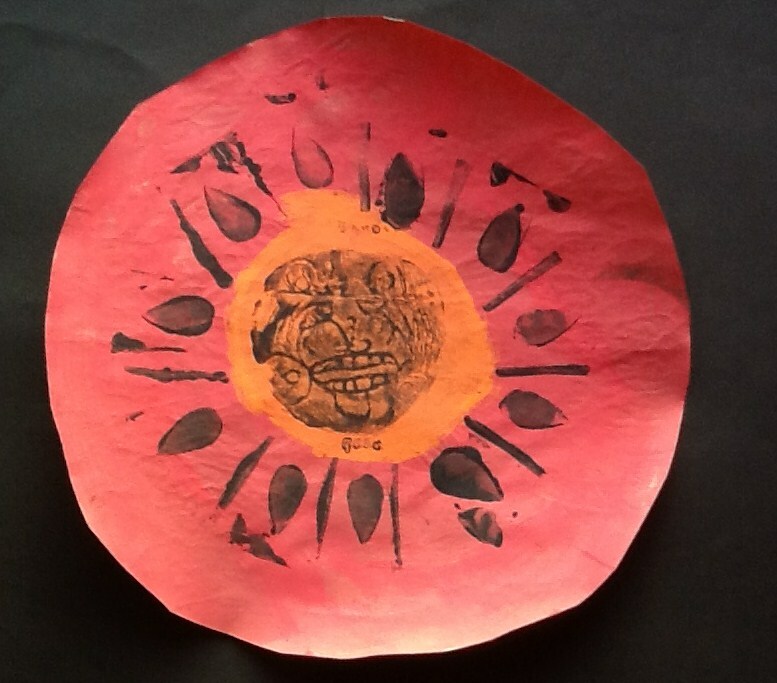 Once they completed the design, they colored it and cut it out and mounted it on paper. I saw a version of this in the office of one of our elementary schools and knew I wanted to make this project with one of my grade levels. I chose Grade 4. 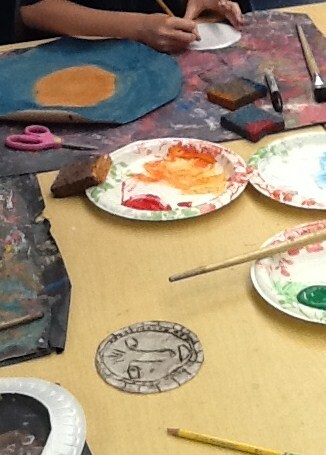 Students were given disks of paper and plates of paint in various colors. They were instructed to paint the centers lighter than the outside. 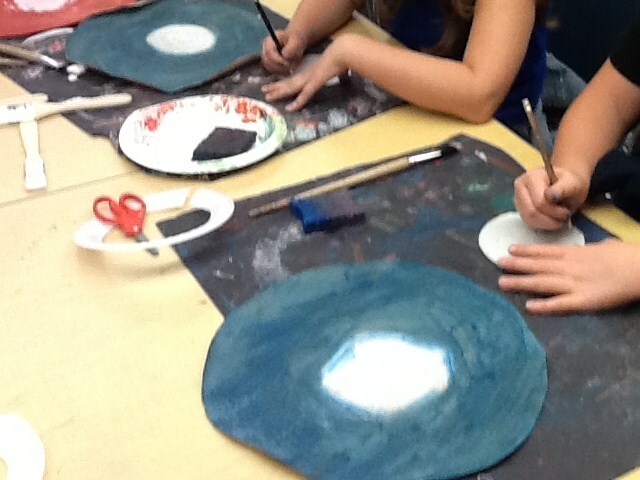 They quickly painted the disks with large brushes or sponges and set them aside. 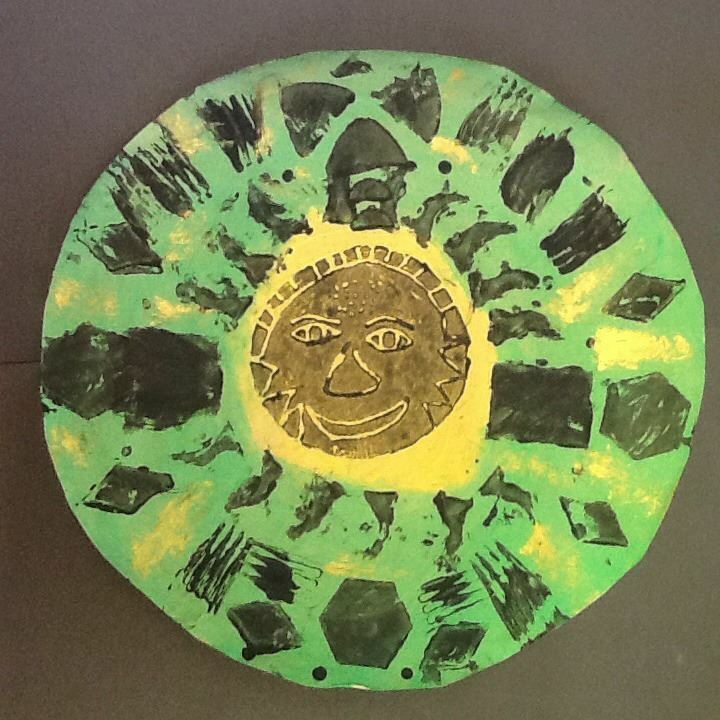 They then created a printing plate from a styrofoam plates. 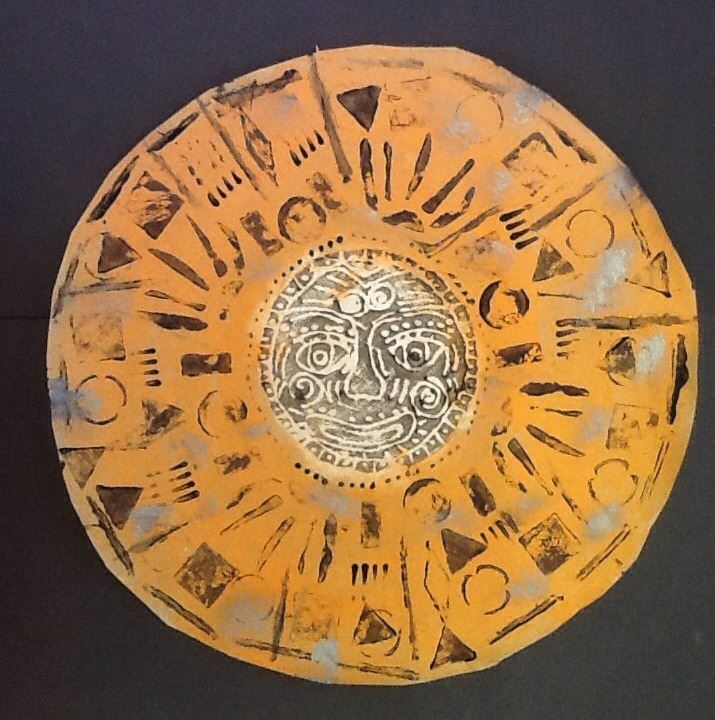 They used dull pencil to carve a design into the plate then painted the plate black then pressed it onto the circle to create a center for their sun. 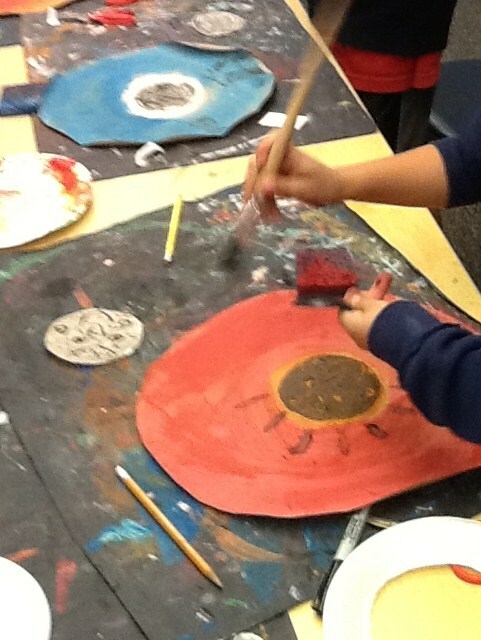 They used various found objects to add a radial design to their sun. Once complete, they could add a bit of bronze, gold or silver to their images.